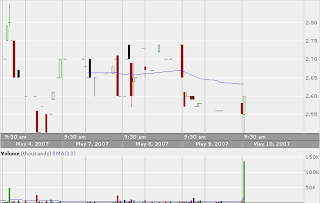 RGRP daily volume has been slowing until this morning. <---see the big green buy...we like. RGRP 2.69 +0.14 (+5.49%) ....we bought at $2.50...you know what that equals....mo' money!